St. Patrick’s Day can be so fun. Making all the green treats makes me start thinking about Springtime! But can you put your St. Patrick’s Day Treats in? How about this wonderful free printable treat box? Let me tell you it is the easiest little box to put together for children’s treats. It is also the perfect size for children as well! 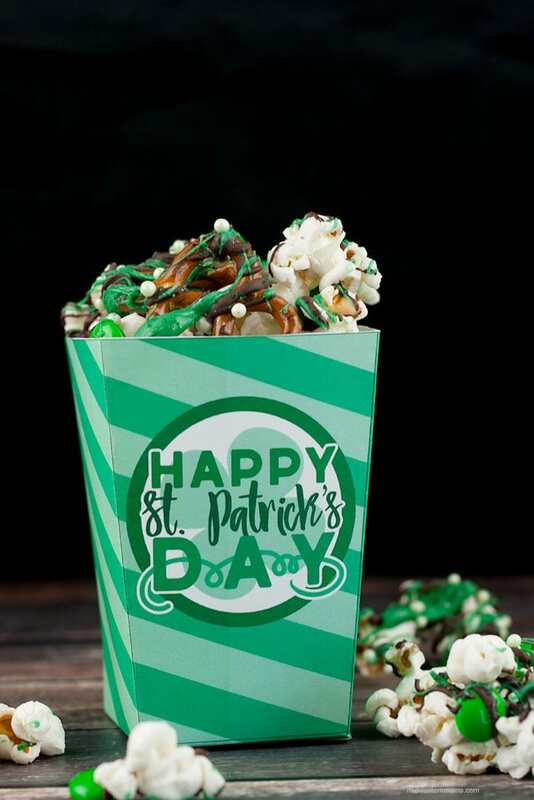 You can fill it up with some gold coin candies or some fun St. Patrick’s Day Popcorn Snack Mix (pictured). Print the treat box on card stock. Cut along the outside of the treat box with scissors. Fold along the solid lines. Use tape (double-sided tape works great) where indicated to form the box. Fold in the bottom tabs so they form a secure bottom. Fill your St. Patrick’s Day Snack and Enjoy! To get your printable treat box, simply fill in your email address in the newsletter box below. Once this is submitted, an email will be sent to you with the link to the treat box. It will also subscribe you to our newsletter. 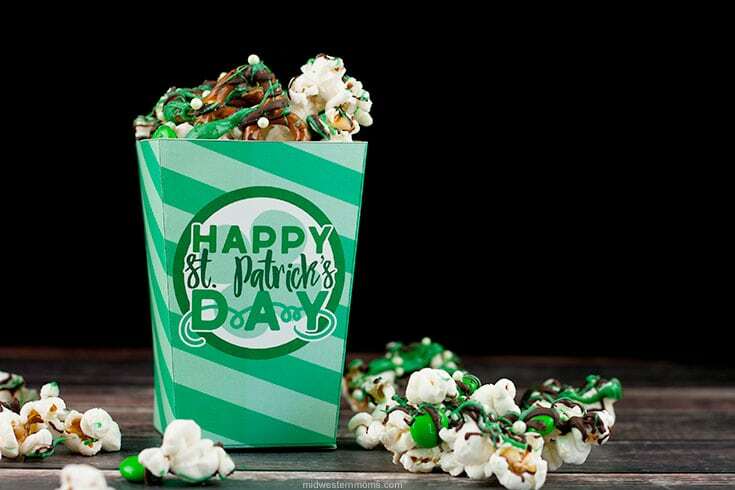 your St. Patrick’s day popcorn box will not come up so I can print it? I thought it was so cute and would like to use it. You need to put your email in the box to get the link to print. I searched and your email does not come up. Try again.